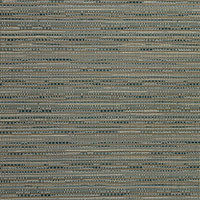 Showcasing intricate designs, Phifertex Jacquards are 100% PVC fabrics. The upholstery fabric blends durable polyester with a protective vinyl coating for trusted defense against wear and weather. The outdoor fabric is best-suited for makers of sling chairs and other sling patio furniture. Whether for sling fabric replacement, repair, or a modern upgrade, Phifertex Jacquards bring high-end style with high-power quality. The key features of Phifertex mesh sling fabrics stem from their built-in Microban® antimicrobial protection. The compound inhibits stain and odor-causing bacteria, mold, and mildew. For general care, simply clean with bleach or soap. The material also resists ripping and fading for lasting utility. This makes Phifertex one of the leading pioneers in outdoor sling fabrics. 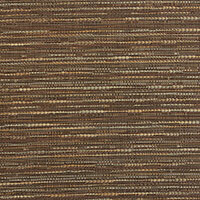 For a sharp, elegant detail, equip your next project with Phifertex Jacquards in Fusion Maple NW1. This product is GREENGUARD® certified to meet stringent environmental standards. Made in the USA. Warranty: 3 years. Width: 54 in. Weight: 16.2 oz. Trademark: Phifertex® is a registered trademark of Phifer Inc. Microban® is a registered trademark of Microban Products Company. GREENGUARD® is a registered trademark of GREENGUARD Environmental Institute. 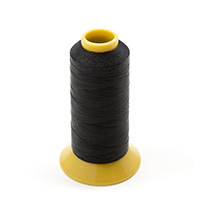 GORE® TENARA® Thread Size 92 Black M1000BK-5 8 oz.